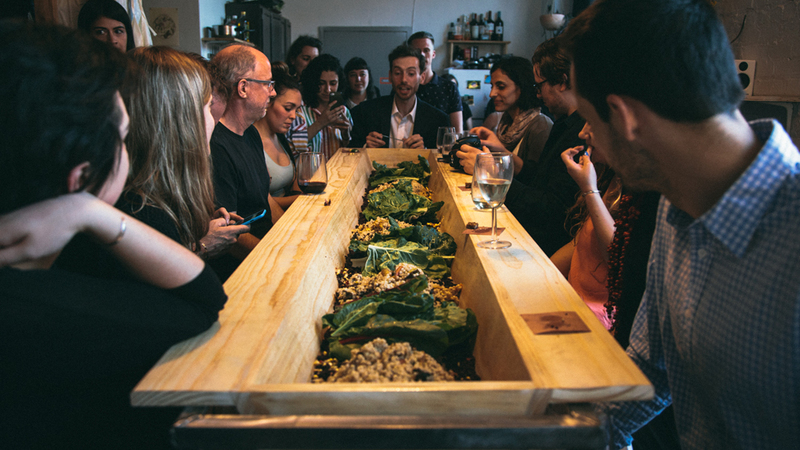 An educational meal experience designed to elicit empathy. 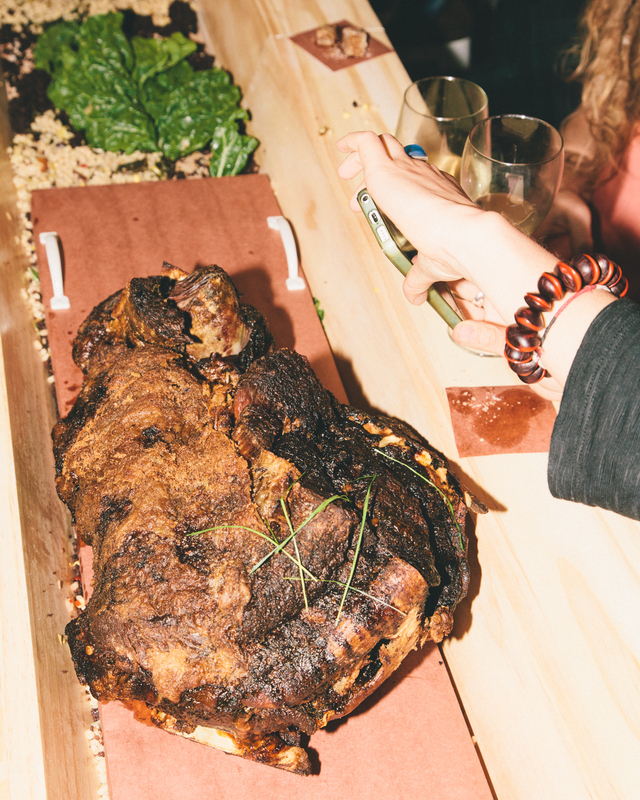 Challenge: Create a visceral connection between consumers of fine dining and livestock. 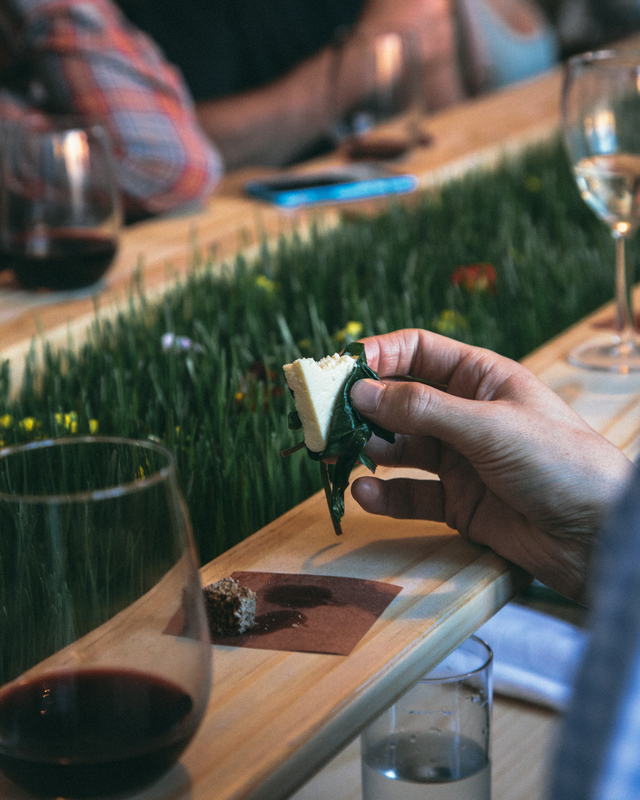 Outcome: After eating dishes made from cattle feed, guests developed a connection with the animal served as the main course. 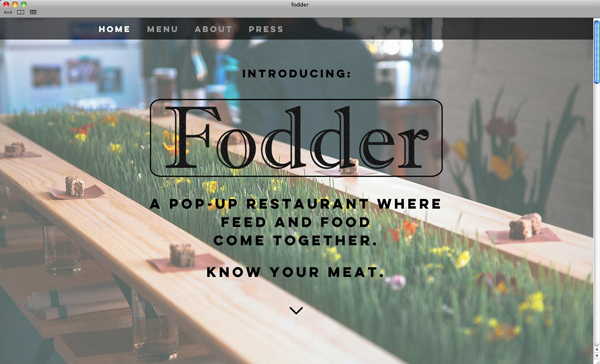 Fodder is an educational meal experience. Through a set of dishes prepared from agricultural feedstuffs, the conscientious meat eater is offered to "truly get to know" the animal that's served as the main course. Working in close collaboration with chef Aimee Hunter, I developed presentation content and food dishes to tell the life story of a beef steer. 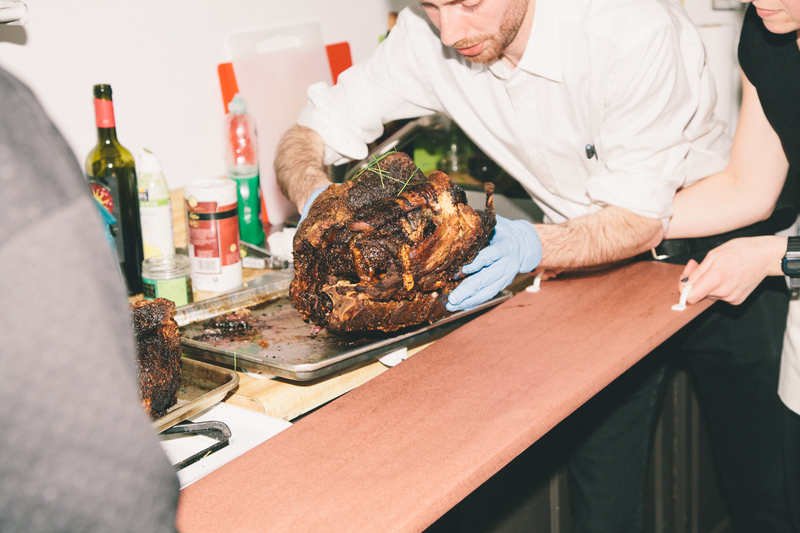 "The meal was what you might call an intellectual or ethical success, … it forced me as a diner to be aware of what I was eating (and what [the animal] ate) in a truly visceral way." 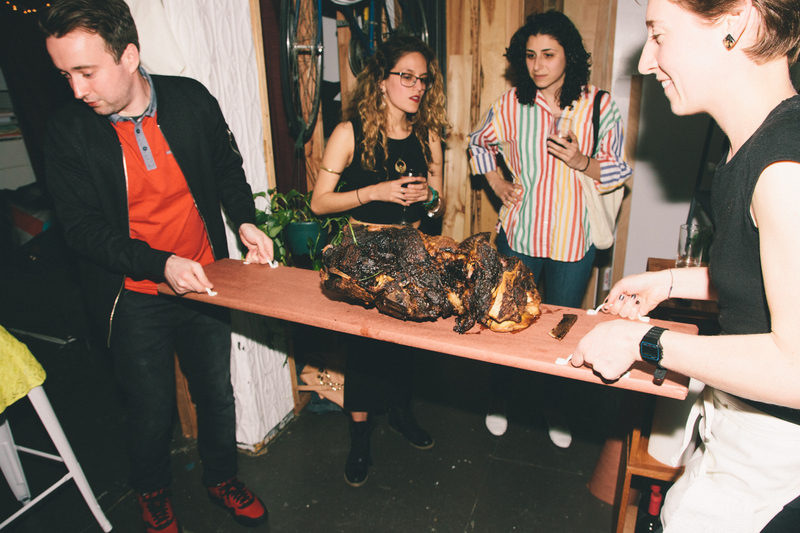 "Roused by ... a perpetual disconnect between the production and general consumption of meat, [the team created] a holistic dining experience that would highlight the complicated relationship humans have with the animals we consume." 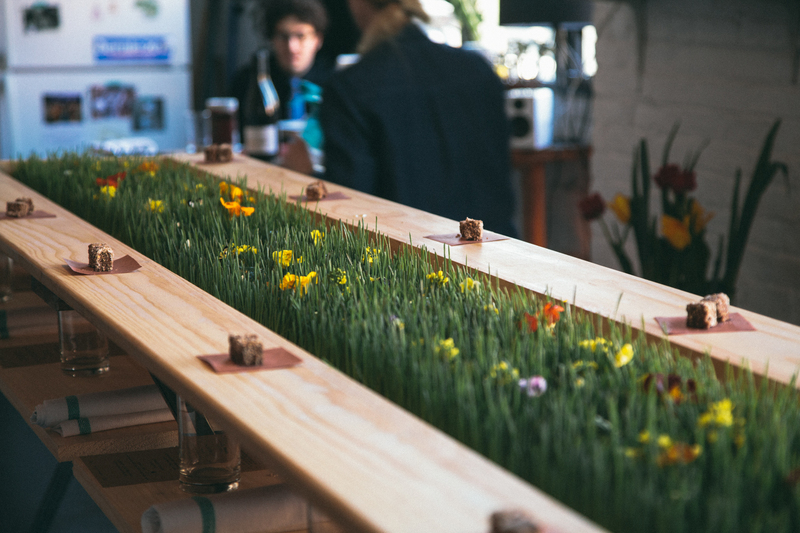 "One part restaurant pop-up, one part art installation, and one part political demonstration." "The goal was not a 'gotcha!' 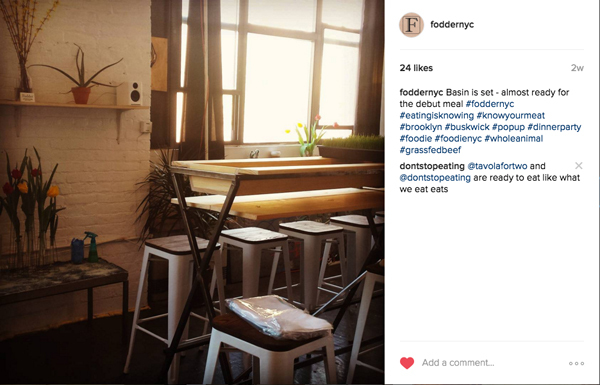 moment of vegetarian didacticism … but an exercise in empathy. 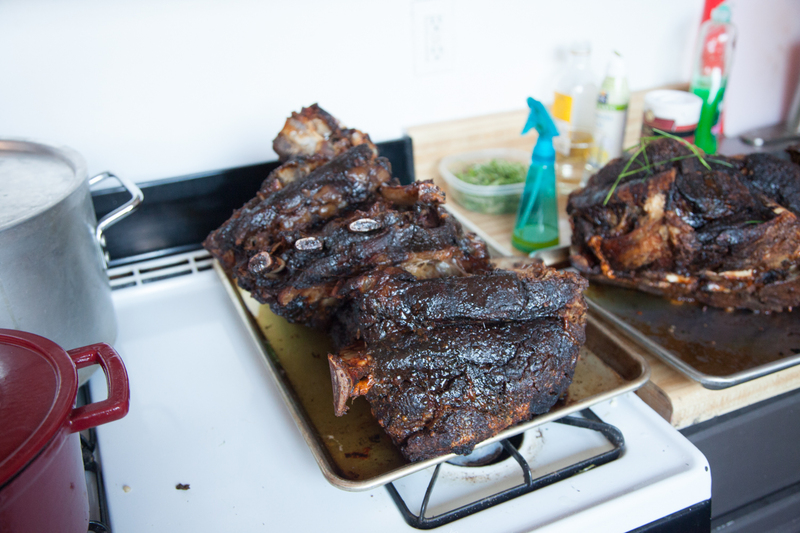 Can meat eaters connect with what they're consuming by being fed its feed?" "While Volf's resume highlights an impressive range of socially engaged projects, Fodder represents his most provocative one yet." 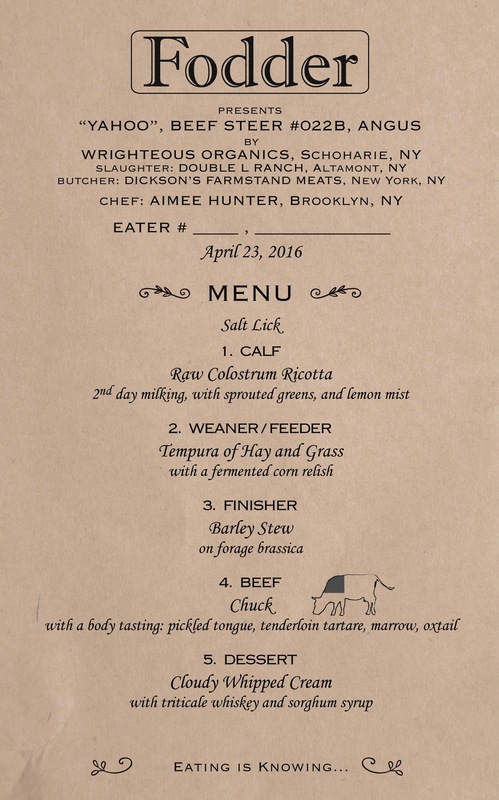 The menu header traces the provenance of the animal from the farm where it was raised directly to the dinner guest. 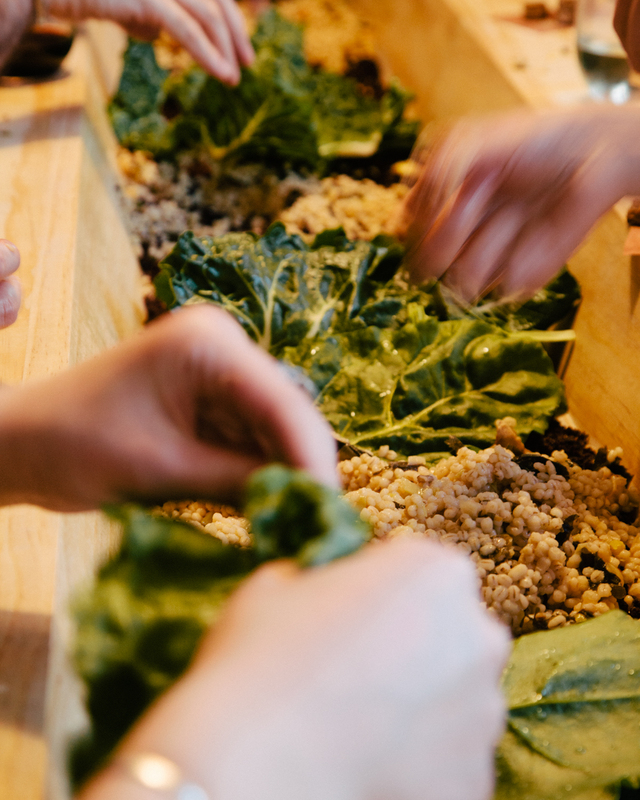 The meal sets up an implicit body scramble; by eating food intended for animals—from a specially designed communal feeding basin—eaters begin to associate their own bodies with those of the animals. Raw colostrum ricotta with sprouted greens and lemon mist. 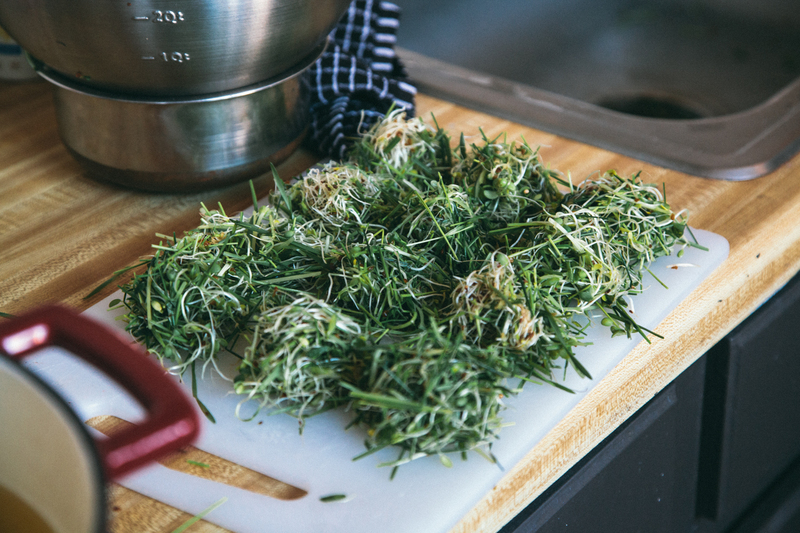 Edible grasses in preparation for tempura. 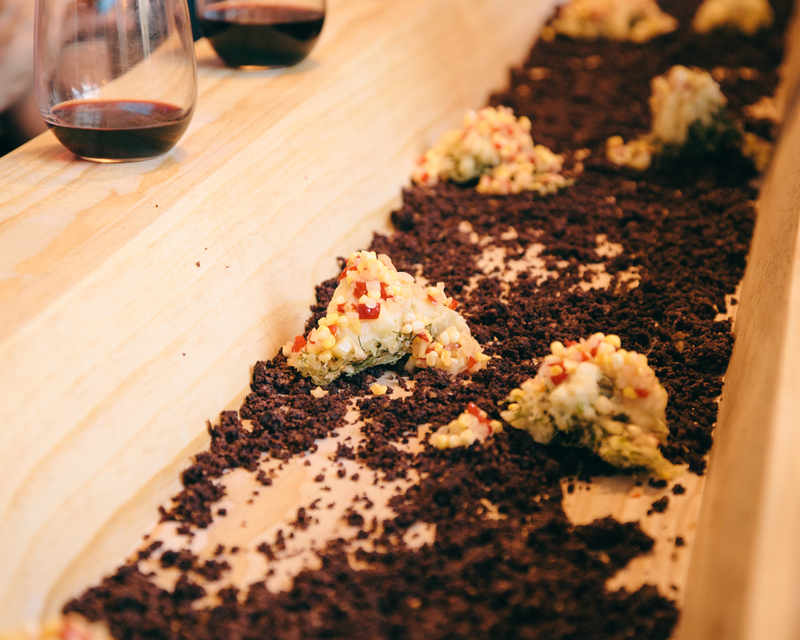 Tempura of hay and grass with a fermented corn relish, on edible "barn-floor" dirt. 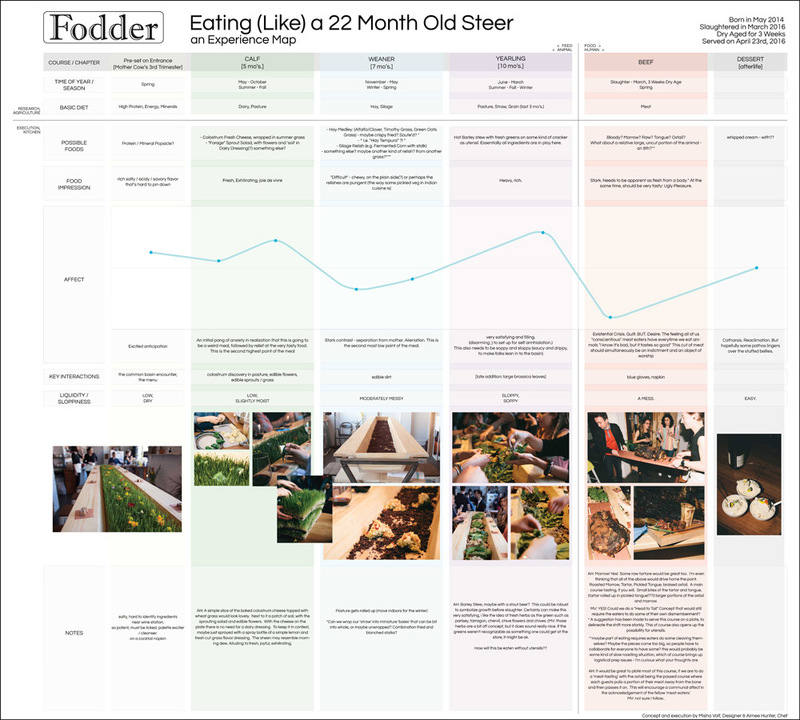 Correlated with a specific point on the emotional arc of the diner's journey, each course represents a particular period in the life of a steer. Barley stew on forage brassica. The meal has no utensils. 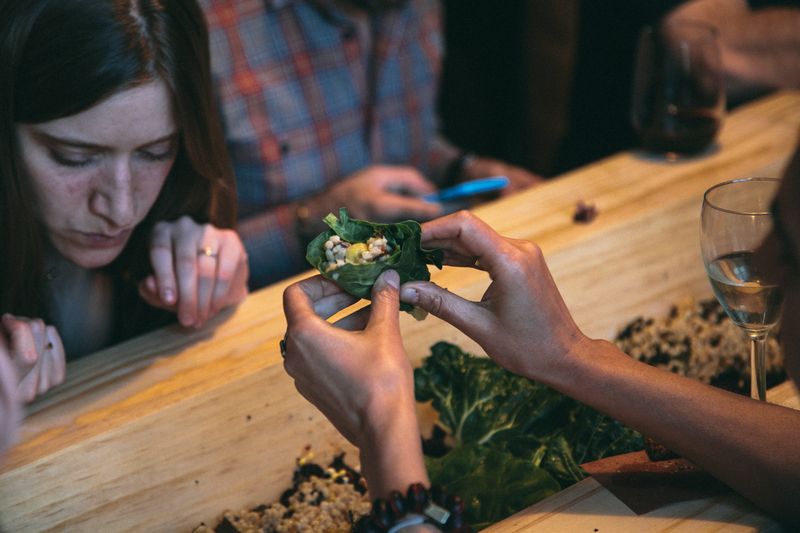 Guests were asked to use their hands, with each dish designed to accommodate eating manually. 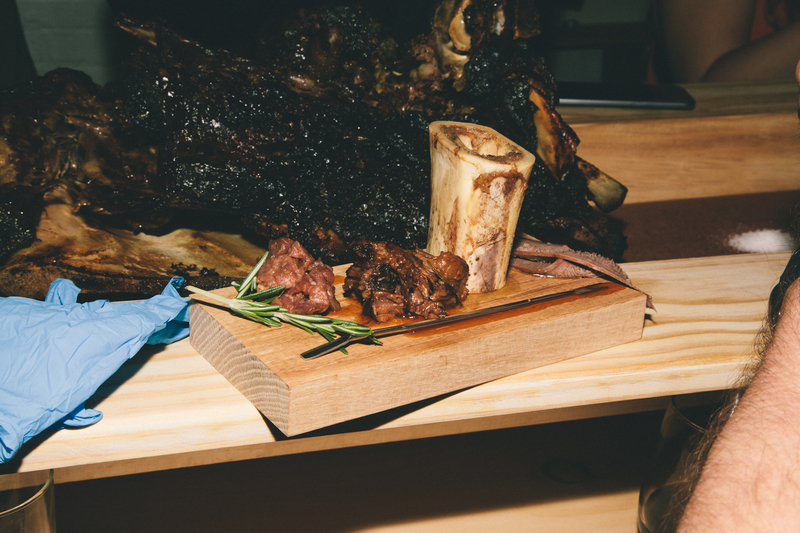 For the main course, elaborately presented, decadent portions of meat reference the body of the animal in explicit ways. 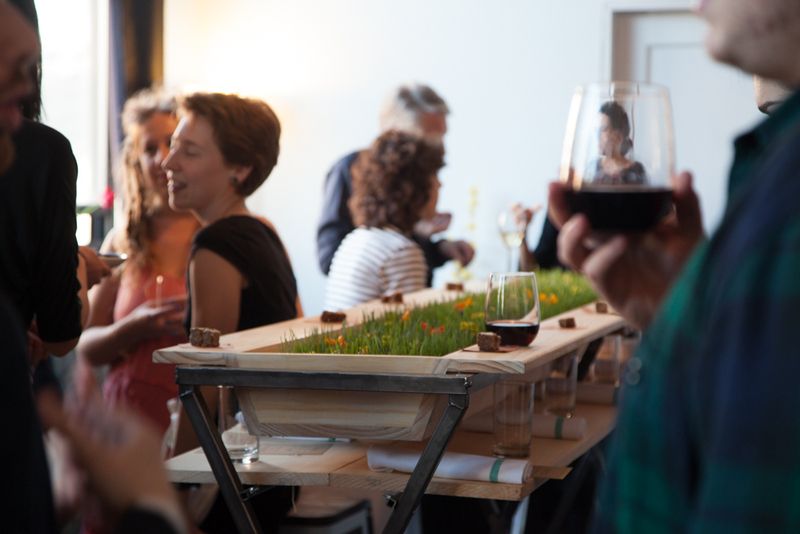 At the same time, the theatrical presentation of the dishes turns agricultural production into an experiential narrative prompting guests to examine their own positions towards carnivorism. A body tasting: pickled tongue, tenderloin tartare, marrow, oxtail. My presentation of the project at AIGA Fresh Grad 2016 event.